The Influence of Elsa Gindler-Ancestor Of Sensory Awareness (2006) - Judyth O. Weaver, PhD. This article was first published in The United States Association of Body Psychotherapy Journal Volume 3, Number 1, 2004. That issue was a tribute to Charlotte Selver and I had the honor of being guest co-editor. Then in 2006 it became a chapter in a book published by Hogrefe Verlag in Germany as Handbuch der Korperpsychotherapie (Handbook of Body Psychotherapy) and has been here on my website. Now it is to be published in English by North Atlantic Books with the title: The Handbook of Body Psychotherapy & Somatic Psychology. The editors of this extensive undertaking recognize the two primary ancestors of body-psychotherapy to be Wilhelm Reich and Elsa Gindler. Wilhelm Reich taught and influenced many psychotherapists in Europe and later in the United States. Elsa Gindler’s work influenced many people in Europe and some of those eventually came to the U.S. and taught. One of Gindler’s students who carried her work to the United States was Charlotte Selver. In the United States psychotherapists such as Eric Fromm and Fritz and Laura Perls were avid students of Selver as were many from other creative fields. 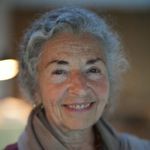 As Selver developed the work she named “Sensory Awareness” she became well known as a pioneer in the human potential movement, teaching frequently at Esalen Institute in Big Sur, California, and influencing many psychotherapists and practitioners of various persuasions. Although Selver studied with Gindler only eleven years, she was profoundly affected by the work. Throughout Selver’s more than eighty years of teaching she frequently referred to Gindler, passing on her wisdom in words and practice to many. I am happy to update this important information. Elsa Gindler (1885-1961) might today be considered as a grandmother of Somatic Psychology and Body Psychotherapy, despite never being a psychologist or psychotherapist. As a young woman diagnosed with a severe illness, she had worked by herself to try to heal, and in order to explore possibilities for her regeneration and health, she began to give her complete attention to what was happening within herself at every moment in every activity during the entire day. A devoted student, colleague and friend, Elfriede Hengstenberg explained, “She found that in this practice she came into a state where she was no longer disturbed by her own thoughts and worries. And she came to experience – consciously experience – that calm in the physical field [Gelassenheit] is equivalent to trust in the psychic field. This was her discovery, and it became basic to all subsequent research” (Hengstenberg, 1985, p. 12). By 1913, Gindler had developed her way of working with relaxation. Attention to the breath was basic: “For her breathing was a teacher: simply being attentive to it is a way of learning how things are with one, of learning what needs to change for fuller functioning—for more reactivity in breathing and thus in the whole person. She did not teach others what they ‘ought’ to be, but only to find out how they were” (Roche, 1978, p. 4). About her work of being present, Gindler wrote only one article: ‘Die Gymnastik des Berufsmenschen [Gymnastics for Working People]’, which appeared in the journal of the Deutschen Gymnastik-Bund (Gindler, 1926). She never gave a name to the simple, deep processes in which she led her students. Charlotte Selver, one of several disciples who brought Gindler’s work to the U.S., says that the closest Gindler got to a name was “Arbeit am Menschen” – “working with the human being”, though others think that was just a phrase that was used about her work. Gindler lived her entire life in Berlin. She never advertised her classes, yet over the years her work spread and has had a far ranging influence in many fields, in particular that of psychotherapy. In 1925, Elsa Gindler met the experimental musician and educator, Heinrich Jacoby. After studying with each other, they collaborated in the development of what is now sometimes termed the ‘Jacoby-Gindler work’. Jacoby had a great interest in psychoanalysis, and through him Gindler became interested and referred her students to the work. Gindler herself had many students who were involved in the psychotherapeutic field. Clare Nathansohn began studying with her in 1915, and when Clare married Otto Fenichel, a student of Freud, he also began studying with Gindler. Fenichel said of her experience, “I got my husband to go, too, and he was very interested. Later on he would have me talk to his psychoanalytic groups about the Gindler work, and then we would all discuss it” (Fenichel, 1981, p. 6). With reference to Gindler’s interest in psychotherapy, Clare Fenichel said, “Psychoanalysis spread at that time and some of her pupils were into it. One of them was my husband, and there were others. Gindler was interested to see what was going on and she learned. From then on she said things in class that she could have said only if she considered mental activity as an important matter much involved with movement.” Fenichel goes on to say, “She knew more and more about human beings. And this is the important thing; she became more and more interested not just in the body but the whole being. She said, ‘If you don’t want to get over the rope, don’t be surprised that you can’t make it.’ She noticed that something that is not ‘body’ gets the body going. And that ‘something’ effects the function of this body” (Fenichel, 1981, p. 8). Wilhelm Reich never studied with Gindler, but it seems he was influenced by her approach in several ways. After the Reichs left Vienna and moved to Berlin, Annie, Reich’s first wife, studied with Clare Fenichel. Reich’s daughter, Eva, remembers the many Sunday picnics of the close friends, the Reichs and the Fenichels, where her father would assiduously question Clare about Gindler’s work. “Now, tell me, what is it that you do?” he would ask (Reich, 1984). Elsa Lindenberg, Reich’s second wife and long-term companion, studied with Gindler both before and after the Second World War. She also studied with Clare Feinchel while she was living in Norway with Reich. Eva Reich felt that the vicarious knowledge of Gindler’s work and the direct influence of Lindenberg definitely had an effect on her father becoming much more aware of his psychoanalytic clients’ breathing and body state, movement and positions while working with them (Reich, 2001). “It soon became clear to me, however, that the Gindler work was not just ‘Gymnastik’ in the usual sense, but was an education of the whole human being, a ‘Lebens-Schule’ (school of life) as she [Gindler] called it” (Nörenberg, 1981, p. 20). “Through our experimentation I managed, slowly and painfully, to work myself out of a number of holes, by gradually coming to a fuller understanding of the deep sense of Elsa Gindler’s teaching – until I found the path to myself. This process was not unlike a psychological ‘depth analysis’ (of which, however, nothing was known at that time) even with respect to the subsequent ‘catharsis,’ the clearing up of inner disorders. I gradually learned to be more in charge of myself, to understand myself better – without falling into those unproductive and crippling feelings of inferiority that so easily deteriorate into depressions.” “The unity of mind, body and spirit was much discussed at that time. There, in Gindler’s classes, we experienced it in practice. And a clear consciousness of this has never left me.” (Nörenberg, 1981, p. 20). After the war, Nörenberg became a physical therapist and felt she was able to work in the spirit of Gindler. For others, the Gindler work fulfilled a different need. Else Henschke-Durham had many physical problems when she came to study with Gindler at the age of eighteen. She had been working with small children and difficult or disturbed older ones of working parents. Durham relates, “Under Elsa Gindler’s guidance I became aware that the organism was not just a machine to be used, that there was a way for me to become familiar with it, to relate to it, to allow it to function according to its own needs. What a revelation! …With incredible persistence, Elsa Gindler made me aware that unneeded contractions…were brought on by my mental attitude. My holding was a defense” (Durham, 1981, p. 17). Durham was encouraged by Gindler to go to the USA, and in 1934 opened a studio in New York. Like so many other Gindler students, she received referrals of medical and psychoanalytic patients and worked with them very successfully. In 1941, she married a European psychiatrist and psychoanalyst. Durham wrote of the times: “Interest in psychoanalysis was just spreading but often even deep psychoanalysis did not free a person from the physical tensions that had developed through repressions and negative resistances; here was an area left out. So we worked together. Analysts came with their personal needs, and then sent their analysands.” (Durham, 1981, p. 18). Many others developed their understandings and enhanced careers from Gindler’s work. Lily Pincus, author of ‘Death and the Family’ (1974) and co-author of ‘Secrets and the Family’ (1978), amongst other books, studied with Gindler from 1928 to 1939. First a social worker, and then a family therapist at the Institute for Marital Studies in the Tavistock Institute for Human Relations in London, England, Pincus describes Gindler’s work as helping her students to “harmonize body, intellect and feeling through self-awareness…” (Pincus, 1981 p. 32). In her article, ‘From Dance to Psychotherapy’ (Heller, 1983 pp. 3-8), Gertrud Falke-Heller describes how Gindler influenced her transformation, from a famous dancer and dance teacher to an occupational therapist who was able to work with both neurotic and psychotic patients. After leaving Germany, she worked with the Kurt Joss dance company in England and as ‘Teacher of Relaxation’ at the Crichton Royal Hospital, with shell-shocked soldiers and others suffering from neuroses, psychoses, schizophrenia and asthma. She eventually taught at Freiburg University and later at the Lindauer Psychotherapy conference. “…cannot be systematized into exercises. Its application is, rather, of an intuitive character, obedient to the moment…” He goes on to say, “In the inquiry into what a man is in his very self, the therapist must be able to experience himself and, over and over again, make himself ready for the experience. A therapist who is ‘insensitive’, who is too ‘deaf’ and ‘dumb’ as to what is going on, who has ‘no taste of’ and cannot ‘smell out’ his patients is not capable of working…only a therapist who is entirely ‘present’ in ‘readiness for experiencing’ can be effective in this therapy” (Stolze, 1983, p.15) (See also Stolze’s own chapter in this book: Cpt. 43: Moving-Sensing-Understanding-Meaning: Symbolizing in ‘Concentrative Movement Therapy’). Many of Gindler’s students throughout Europe have had profound influence on other modes of working with people. Gindler’s long-time friend and colleague, Elfriede Hengstenberg, had been certified to teach ‘Bode Gymnastik’; in 1920 she also received a teaching certificate from Gindler. Hengstenberg worked with children, preferring to work together with their parents when possible. She preferred to begin work with the mothers prenatally, and afterwards to continue working with the children’s parents and teachers as the child developed. She also gave workshops for the Hungarian pediatrician, Emmi Pikler, who after the Second World War established a nursery-home for orphaned children. There, at Lóczy, Pikler showed how supporting natural development in the child’s own time – and on his/her own initiative and independent experimentation – also facilitates mental and emotional development (Pikler, 1994). Moshe Feldenkrais, developer of ‘Awareness through Movement and Functional Integration’, now more commonly known around the world as the ‘Feldenkrais Method’, was also influenced by Gindler’s work through his studies with her close colleague, Heinrich Jacoby (Feldenkrais, 1981). One of the most important inspirations for Somatic Psychotherapists of many persuasions has been that from Charlotte Selver (1901-2003). Selver was a graduate of the Bode Gymnastik school in Munich, and had done graduate work with Mary Wigman, a pupil of Laban’s, in Dresden, before she came to study with Elsa Gindler in Berlin in 1923. Following her studies with Gindler, she emigrated to the United States in 1938, and settled in New York City, where she offered classes and private sessions in the ‘Gindler work’. Selver coined the name ‘Sensory Awareness’, “to single out the awareness of direct perception, as distinguished from the intellectual or conventional awareness – the verbalized knowledge – that is still the almost exclusive aim of education…” (Brooks, 1974, p. 232). In 1958, Charles Van Wycks Brooks began studying with Selver. They eventually married, and in 1963 he began teaching with her. During her early days of teaching, one of Selver’s most ardent students was the prominent psychoanalyst, Erich Fromm. In 1955, Fromm and Selver gave a joint lecture at the New School for Social Research, entitled ‘On Being in Touch with Oneself’ (Roche, 2000). Clara Thompson, who co-founded the William Alanson White Association of Psychiatry (with Erich Fromm and Harry Stack Sullivan), was also one of Selver’s students, as were many other of her colleagues at the Association. Betty Winkler Keane was a very successful actress when her psychiatrist, Thompson, recommended that she take classes with Selver. Keane, who eventually collaborated with Jungian analyst Edward Whitmont (he worked at the verbal and she at the non-verbal level), was one of the first of Selver’s students to begin teaching. Keane worked in NYC, weaving together Jungian analysis with acting out dream sequences and the work of sensing. Fritz Perls, one of the twentieth century’s most influential innovators in psychotherapy, was deeply influenced by Gindler’s work. In the early 1930’s, Perls was a patient of Wilhelm Reich, and Perls’ wife, Laura, was a student of Gindler. Both Fritz and Laura, the developers of Gestalt Therapy, later studied with Selver in New York – Fritz very extensively and also privately. In 1947, Perls gave a talk at the William Alanson White Institute entitled ‘Planned Psychotherapy’, in which he said, “I recommend as necessary complementary aspects of the study of the human personality at least three subjects: Gestalt psychology, semantics, and last but not least, the approach of the Gindler School.” (Gregory, 2001, p. 14-117). Alan Watts, the popular proponent of Zen Buddhism in the West, studied with Charlotte Selver, and they gave many workshops together in New York and California. He introduced her to Esalen Institute, the newly founded center for the study of human potential in California, and in 1963, Selver presented Esalen’s very first experiential workshop. Over time, her teaching there brought about a great breadth of contact and influence within the psychotherapeutic community in the USA. Gindler’s work has also traveled to the East and influenced therapists and counselors there. In 1972, at Esalen Institute, Professor Hiroshi Ito, the first Japanese counseling psychology graduate from the U.S. (1948), participated in workshop sessions in Sensory Awareness with the author. Returning to Japan, Ito reformed his teaching and created ‘New Counseling’, which included the practice of Sensory Awareness and eventually the Alexander Technique. Peter Levine, creator of ‘Somatic Experiencing’, who uses fine somatic tracking in his body psychotherapy work to resolve shock and trauma affect, cites a workshop taken with Charlotte Selver in 1968 that had great influence on his work. Doris Breyer, a student of Mary Wigman and a professional dancer, studied with Gindler before coming to New York in 1942, where she worked and trained with Alexander Lowen. When she moved to California, Stanley Keleman studied with her and also referred many of his clients to her (See Keleman’s own chapter in this book: Cpt. 21: Maturation of the Somatic Self). Other Gindler students came to the United States to live and teach and had significant influence on different modes of work with children and adults in both creative and therapeutic processes. Carola Speads was Gindler’s teaching assistant from 1925 to 1938. Speads brought her work to New York and, for a time, shared a studio with Charlotte Selver. Speads called her work ‘Physical Re-education’ and had a very successful practice until her death in 1999. Susan Gregory, a Gestalt therapist, recital artist and former opera singer, was Speads’ student from 1963 to 1995 and calls the Gindler work “an essential part of Gestalt therapy’s historical ground” (Gregory, 2001 pp. 14-117). Other areas of expression and creativity have also been influenced by the work of Elsa Gindler. Mary Whitehouse, creator of ‘Movement in Depth,’ also known as ‘Authentic Movement,’ studied briefly with Selver and Brooks, as did Mary’s students, Joan Chodorow and Janet Adler. Aligned with Jungian depth analysis, Chodorow’s work is focused in the context of analytic work, and Adler’s is developing with particular interest in mystical experience. “During this time I became very familiar with the body and truly admired how it was put together. That knowledge complemented what I was seeing in the work that Mrs. Heyer’s husband was doing with psychiatry; I began to see how they worked together. The Heyers used massage and breathing to open people up and make it easier for them to get in touch with their problems in psychotherapy. They found that this way of treatment was much shorter and more effective” (Rosen, 2003, p. 3). “Psychotherapy as a healing modality has changed and evolved … Despite not fitting the description of psychotherapy, Marion Rosen’s approach suggests ways of meditation-in-relationship using skillful touch. It is clearly related to earlier approaches to emotional healing – notably Reichian work – that allow the person’s deeper self to emerge by assisting in the dissolution of ‘character armor’.” (Naranjo, 2003, p. ix). “… [Gindler] offered them the possibility of being responsible to themselves in simply finding out how it is, and how it wants to change. This is one way her work was, and still is, different from all ‘systems.’ In that early article she was already saying, ‘Each student is working in his own fashion. That means that each one in the class is working differently … The student begins to feel that he is in charge of himself … His consciousness of self is heightened’.” (Roche, 1978, p. 4). “it was the genius of Elsa Gindler that the path she opened led, not to some preconceived ideal she had set for her students, but to a continually unfolding discovery of their own unique way of being. Since no one can really copy another’s way of being, no student could copy Gindler in any other manner than by becoming ever more himself or herself. Teacher and student worked together, growing in their own ways, toward their own innate power, their own creativity” (Roche, 1983, p. 1). Elsa Gindler’s process of attending fully and exploring all the basic, natural activities of life has had a profound influence on a wide variety of people and applications. Without being a method or a technique, Gindler’s approach has made a huge impact amongst many psychotherapeutic disciplines. The uniqueness Gindler looked for in her students is just what we hope and work for with our clients in psychotherapy – to help them uncover their connection and faith in their own innate beings. Without a sense of this in their own organisms, physical and sensorial as well as mental and emotional, the wholeness of the human being we are working with will not feel complete. Focusing on the experiences in their bodies, their senses, the somatic elements of a person’s consciousness supports them to stay in the present and work with the reality of what is happening – to work with the actuality of the affects. To be grounded in and support them to experience and work from their inside out allows the organic processes to return to their natural balances. Somatic inquiry, essential to so many integrated psychotherapeutic approaches, especially when working with pre-verbal and other deep issues, instructs the practitioner how to work at depths and delicacies without projecting or interfering. The clarity of sensory awareness leads both the therapist and client in working with all aspects of the client’s direct experience. The Somatic Psychotherapist is thereby supported to be less directive, as the client is allowed to discover and claim his/her autonomy. Used both within therapeutic sessions as well as integrated in psychotherapy, the simple, basic work of sensing, derived from Elsa Gindler, is one of the essential and vital foundations of the field of Somatic Psychology or Body-oriented Psychotherapy. Brooks, C.V.W. (1974). Sensory Awareness – the rediscovery of experiencing. New York: Viking Press. Durham, E.H. (1981). The Nineteen Twenties and Thirties. In: The Charlotte Selver Foundation Bulletin: Elsa Gindler, 1885-1961, Vol. 10 (II), p. 17. Feldenkrais, M. (1981). The Elusive Obvious. Capitola, CA: Meta Publications. Gindler, E. (1926). Die Gymnastik des Berufsmenschen [Gymnastik for Working People]. The Journal of the Deutschen Gymnastik-Bund [German Gymnastik Federation]. Gregory, S. (2001). Elsa Gindler: Lost Gestalt Ancestor. British Gestalt Journal. Vol. 10 (2), pp. 14-117. Heller, G.F. (1983). From Dance to Psychotherapy. The Charlotte Selver Foundation Bulletin: The work after Elsa Gindler, Vol. 11, pp. 3-8. Hengstenberg, E. (1985). Her Teacher – Elsa Gindler. Charlotte Selver Foundation Bulletin: Elfriede Hengstenberg – Her Life and Work, Vol. 12, p. 12. Naranjo, C. (2003). Foreword in Rosen Method Bodywork. Berkeley, CA: North Atlantic Books. Nörenberg, R. (1981). Letter to Charlotte Selver. The Charlotte Selver Foundation Bulletin: Elsa Gindler, 1885-1961, Vol. 10 (II), pp. 20-21. Pikler, E. (1994). Excerpt from Peaceful Babies – Contented Mothers. Sensory Awareness Foundation Bulletin: Emmi Pikler, 1902-1984, Vol. 14, pp. 5-37. Pincus, L. (1981). The Charlotte Selver Foundation Bulletin: Elsa Gindler, 1885-1961, Vol. 10 (II), p. 32. Rand, M. (2001). Personal communication with author. Reich, E. (1984). Personal communication with author. Reich, E. (2001). Personal communication with author. Roche, M.A. (1978). Foreword. The Charlotte Selver Foundation Bulletin: Elsa Gindler, 1885-1961, Vol. 10 (I), p. 4. Roche, M.A. (1983). Foreword. The Charlotte Selver Foundation Bulletin: The work after Elsa Gindler, Vol. 11, p. 1. Roche, M.A. (1999). Sensory Awareness. In: Allison, N. (ed). The illustrated encyclopedia of body-mind disciplines. New York: The Rosen Publishing Group, pp. 231-235. Roche, M.A. (2000). Sensory Awareness: Conscious Relationship. Somatics, XII (4), pp. 4-54. Novato, CA: Somatics Society. Rosen, M. with Brenner, S. (2003). Rosen Method Bodywork. Berkeley, CA: North Atlantic Books. Foundation Bulletin: The work after Elsa Gindler, Vol. 11, pp. 9-15.